Just Imagine! You are going on a dream date. You wear the most special suit and rent a luxurious car ride. That’s exactly what happens when you select wrong items for dropshipping with AliExpress. No matter how amazing is your online store (car), having the wrong items is like driving it straight into the tree. Therefore, I created this post to guide store owners to avoid these 5 items when dropshipping. If you don’t read this post, then chances are you will pick items from AliExpress that will not result in high sales. Just a reminder, I am not talking about bad reviews but few reviews and here are the reasons why. In dropshipping, product availability is a crucial aspect, which your business is dependent. Few reviews mean that the product has either lower availability, weaker worldwide shipping network, or the supplier has not been able to introduce this item in various countries. Few historical reports about the item does not give adequate information about the supplier’s performance in shipping orders. Therefore, never take a risk on unproven products. You might be successful in enticing your customers to click on the buy button, but if they don’t receive their order in a given time, it would mean bad reputation for your store and losing a potential customer. It’s just illegal. Do I need anything more to say? 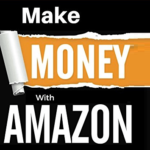 Well, for short-term earning, it’s a good model as you can generate quick money but a dropshipping business has a potential to take your earning up to six figures. A product containing trademark never lasts for too long, which only gives a brief margin for dropshipping. For instance, the above product has an official Star Wars trademark that will eventually be hunted down by copyright claims. Trademark of any prominent figure is highly likely to tempt your customer to make a purchase, but it could lead your business to get into unchartered waters and could lead to legal issues, including lawsuits. So, precaution is better than cure! Items that are commonly available will never give you a winning product. Impulse buying will not happen with these products. Let’s look at this white mugs. There is nothing wrong with these products but they are just boring. Why would your customer wait for a month to get their hands on simple mugs instead of taking it from a local store? There must have some eccentricity in the products you select. Have a look at this guitar mug. It gives a new and improved design of the mug, making it different from the conventional stuff. You need some strong and unique feature in your items to tempt your customer to make a purchase. Novelty in the product also helps and you can add scarcity to your marketing strategies. In online selling FOMO (fear of missing out) is really important. Like, run a timer or countdown on limited time offers to enhance impulsive buying, which is easy to implement with unique products. When you are selling ordinary items, which your customer can buy from anywhere, then you cannot create scarcity in your marketing and find it hard to find converting customers. E-apcket shipping method offered by Chinese supplier is the fastest mode of shipment internationally. It allows you to track the products for your customers and it ships the product within two to three weeks. Therefore, when selecting products for your store, always check for an E-Packet shipping option. It is usually located on the top of the item. E-Packet shipping also helps to solves customer’s issues and make your customer support system to run effortlessly. Without this, your whole business will just revolve around answering customer queries. Photos are the backbone of online selling. It is the sole representation of your items and if that doesn’t fit right then be prepared to witness your sales drop like a house of card. Here is an example of a wine opener that has poor or low quality pictures. Item picture should be enticing enough to make the customer response on them. The photos of the item failed to show any unique features and make it very hard to entice customers to make a purchase. These suggestions of avoiding items are the real-life experiences of some very successful dropshippers. But after careful selection, they are earning millions, just by learning from their mistakes. Avoiding these items that I mentioned in the post will definitely save your time and money. What you need to do right now is just go to your website, analyze every product in your listing, and make sure that none of the product contains any of the mentioned aspects. If you have any other tips for avoiding certain products for dropshipping from AliExpress, let us know in the comments below.